In consignment you share the risk that something will not sell or will be marked down, in buying outright we take all the risk. Outright Purchase means that we will evaluate your items, and pay you up front. Normally, the payment will be less than what you could expect to receive from consignment. We are more particular, taking only items that we know will sell quickly and that are in excellent condition. 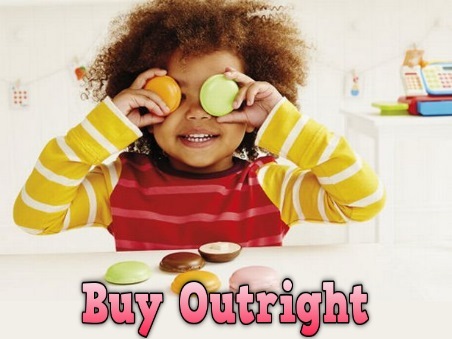 When we buy outright you will receive CASH on the spot! Call us first to make sure we are buying the items you have! Depending on items brought in, you get up to 40% of what we are going to price it at in our store! Add 20% bonus to payment when you choose to get paid out by store credit! You don't have to wait for the item to sell before you get paid. Know how much you are getting the same day! Easy "Donate Option" for items we are unable to buy. Get the stuff out of your closet...we'll help! You get paid AFTER your item sells. Consignor can collect profits for sold items anytime by stopping by the store. 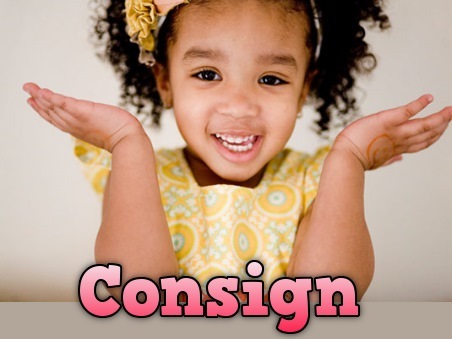 The consignment period is 60 days (SEASONAL). First-time consignors are encouraged to make an appointment – after that you can use drop & run. Store will set the price of the item. We are unable to accept any item that retails new for less than $5.00. Please be sure to check out the list of Brands We DO NOT accept. We want to make you an offer for all of your children’s gently loved items, but we are selective about what we can accept due to our customers' expectations. To get the most return on your merchandise, ﻿please read our helpful selling tips﻿. We make every effort to present both affordable prices to our buyers and attractive offers to our sellers. If you decide to leave your items instead of waiting while your buy is being processed, it is your responsibility to return within 24 hours of us giving you a quote for items we are able to take. Otherwise, it is our policy to keep your items and donate the ones we do not need. You will not lose your CASH OFFER but you will lose the option to decline it.